This story is told from a first-person perspective, and the page colors will change depending on who is narrating. Black and gold correspond to Michael, while midnight blue and white correspond to Nalia. R-132 is a written webserial blending elements of modern fantasy and more into a character-driven narrative following Michael Lockheart, a man searching for his missing siblings, and Nalia Cynd, a prince hoping to save the world from a greater evil. Along the way, they’ll encounter ancient evils, mysterious spirits, ancient libraries and more. 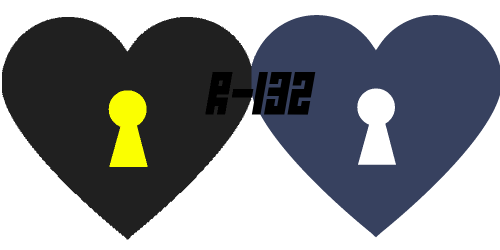 Beyond the theatrical fights, colorful characters and intricate worldbuilding, R-132 is also a story about death and grief. Webserial by Christopher Harper, written in loving memory of a woman once called “Walkazo“. Updates release on Fridays, by 6 PM Mountain Time. Late or bonus updates will be released on Mondays by the same time. Good with art or graphical design and want to make R-132 better? Click here. Like the music used in R-132? Check out the playlist. Want to discuss R-132 and be notified of updates? Click here to join our Discord! Want to support R-132? Check us out on Facebook or donate using the button below!